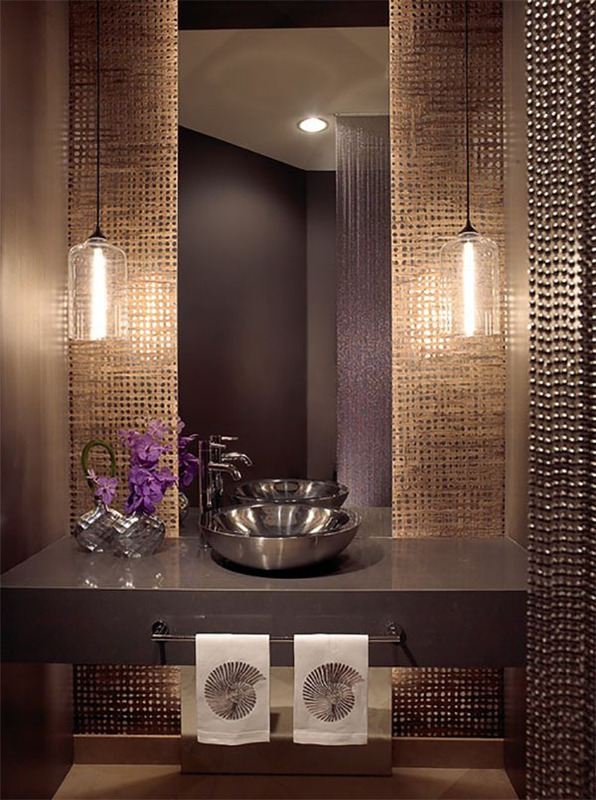 Let’s unwind (in our minds) with these calming, zen bathrooms. You’ll note the Japanese style soaking tubs, neutral color palettes, and minimalist decorating style in these stunning Asian-inspired spaces. 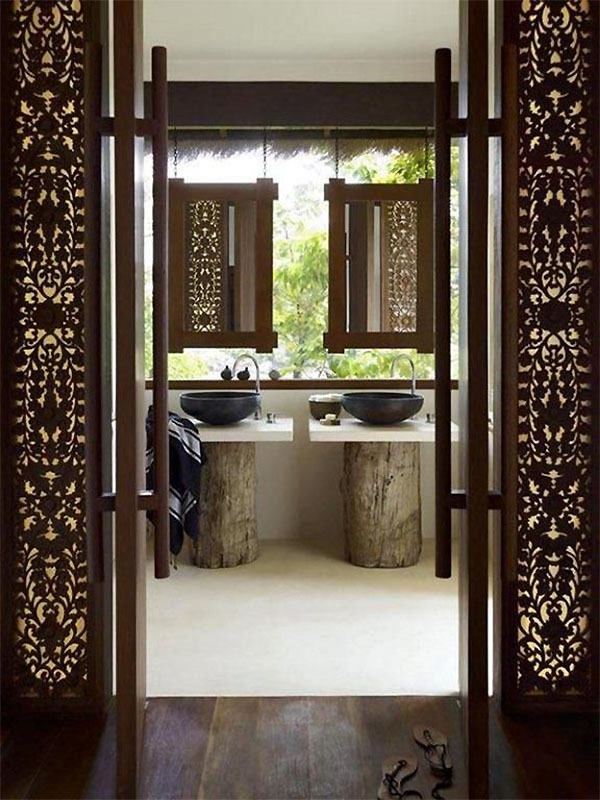 These bathrooms also highlight nature, by bringing the outdoors in with warm wood tones. It’s the perfect combination to create a relaxing environment… because sometimes, less is more. Cue the soothing spa music! Designer Michael de Perno‘s California home, via Elle Decor. 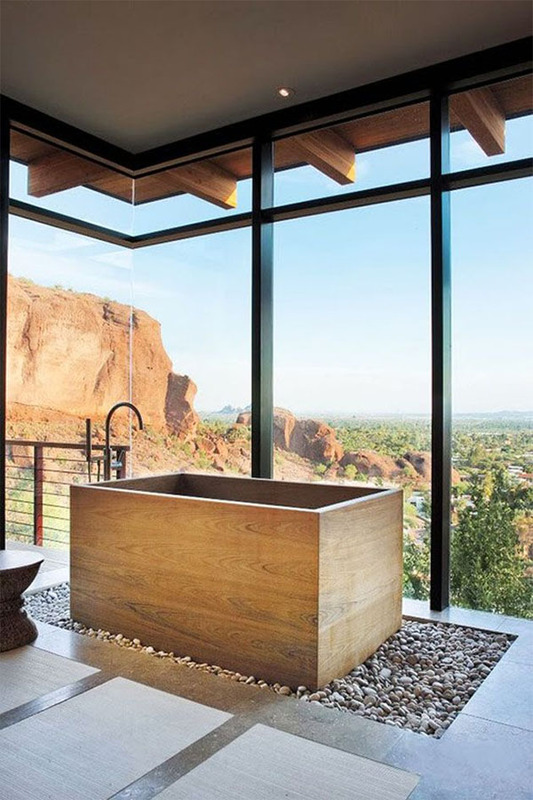 Japanese wood soaking tub, Image from Interiors Collective via Luxe. 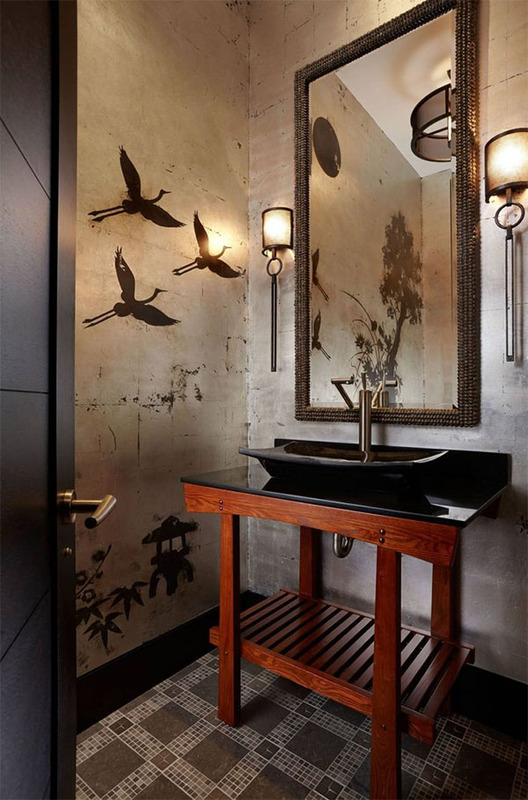 Soho loft bathroom featuring cherry blossom tile mural, SPI Design. Image via Pagoda Road. 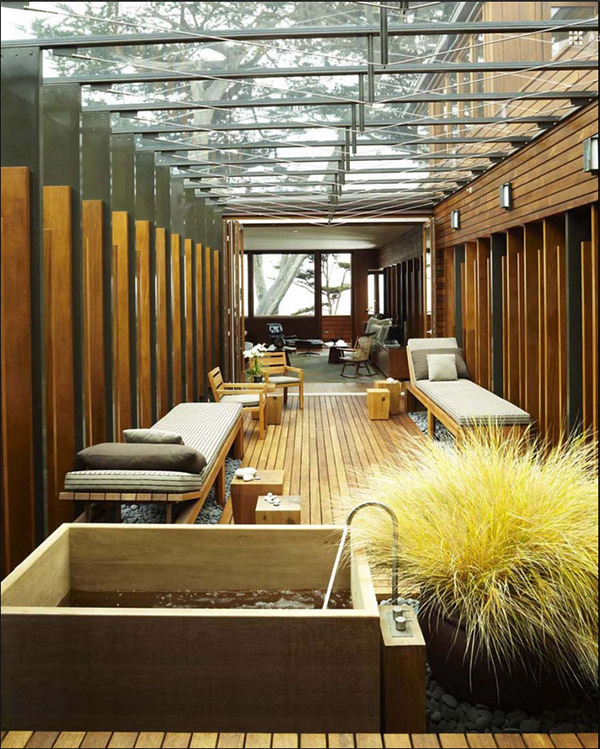 Enclosed residential sunroom featuring Japanese soaking tub, designed by Dirk Denison Architects. Image via Architizer. Florida waterfront home inspired by Indonesian architecture. Designed by Kirchhoff & Associates Architects and Mary Washer Designs. Image via HomeAdore. 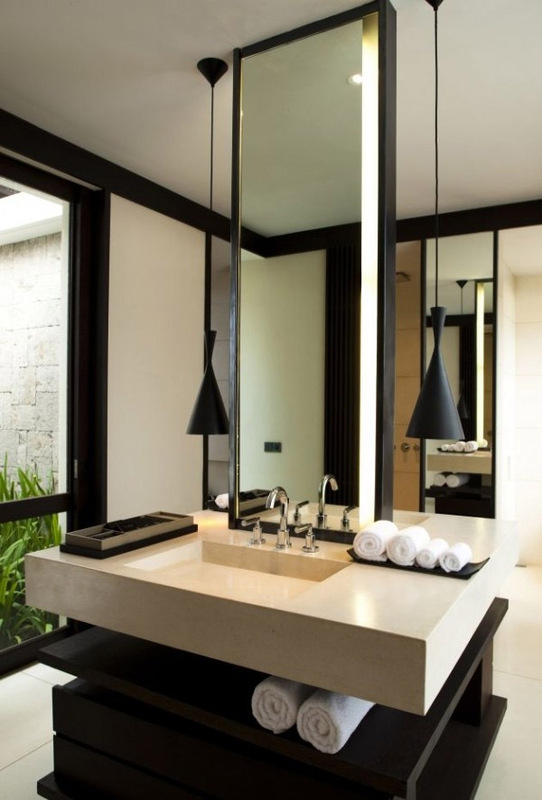 While I’m a color lover at heart, these zen bathrooms maximize relaxation by keeping the color palette neutral and the decorative elements minimal. A valuable lesson in restraint for those who could benefit from simplifying your decor and maximizing your zen.